Malta is demanding an explanation after having been placed in an OECD blacklist of 'high risk' financial jurisdictions. The Organisation for Economic Co-operation and Development included Malta in view of its citizenship-by-investment scheme, saying it could allow people to hide their financial assets. An analysis of "golden visa" schemes found Malta could potentially offer a back-door to money-launderers and tax evaders. Specifically, the country had a "high risk" of allowing people to circumvent the common reporting standard for the automatic exchange of tax and financial information on a global level. People can hide their assets by escaping reporting on their assets, in line with common standards, the organisation’s report, published Tuesday, said. Particularly, documentation obtained through the golden passports’ scheme can be misused to misrepresent an individual’s jurisdiction of tax residence, the analysis found. Malta’s financial institutions are required to take the outcome of the report into account when performing their due diligence obligations, the OECD said. Most individuals seeking to circumvent the common reporting standard will wish to avoid income tax on their offshore financial assets and would not be willing to fundamentally change their lifestyle by leaving their original jurisdiction of residence. Parliamentary Secretary Julia Farrugia Portelli, who is responsible for Identity Malta, said Malta should not be on the list. She said the decision was based on incorrect information which the Maltese government had already pointed out. She said Malta had a transparent, automated system of information exchange for tax purposes as required by the OECD. Just last week, the passport scheme was slammed in an international report, which insisted the island needed to adequately address the programme’s reputational and money-laundering risks. 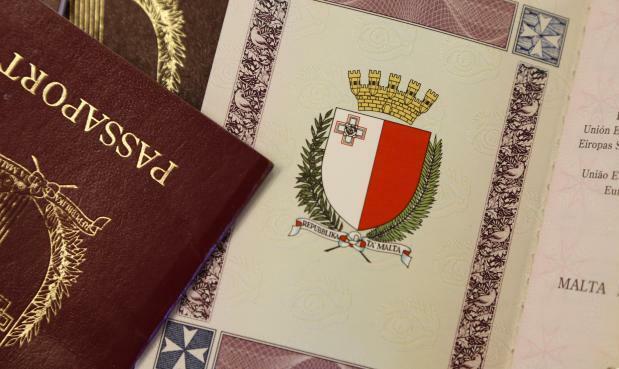 The report warned that in spite of a four-tier due diligence process in Malta, government officials enjoyed wide discretion on eligibility, noting that applicants who have criminal records or are subject to criminal investigation may still be considered due to “special circumstances”. The government had hit back at the report, saying some areas were not accurate or adequately researched. It said the number of applicants approved by the IIP scheme was only a small fraction of the one million individuals acquiring citizenship in EU member states. The finance ministry also reacted forcefully on Thursday, saying that listing of the Malta Programmes could “only be a result of a misunderstanding” and that it was looking forward to a proper analysis which would result in their removal. The ministry explained that there were a number of factors which had not been sufficiently considered, stressing that Malta had made a number of commitments to further mitigate any potential risks. A key point made was that persons benefitting under the IIP and the MRVP do not automatically become resident for tax purposes in Malta nor are they granted any tax-related benefits once they obtain citizenship/residence through such scheme. “For the purposes of the CRS, therefore, Malta financial institutions cannot conclude that an individual is tax resident in Malta, and consequently not disclose information, purely on the basis of such individual’s qualification under any of the Malta Programmes,” it explained. Under the Maltese Income Tax Act, an individual would be considered resident for tax purposes in Malta depending on that person’s physical presence in Malta. Furthermore, an individual would become liable to taxation in Malta once they becomes resident in Malta for tax purposes and is not given any beneficial tax treatment purely on the basis of qualification under any of the above-mentioned Malta Programmes.